It would be nice if no pesticides were necessary in the garden, but problems do occur. Left unattended, insects can ravage leaves, flowers and fruits and diseases will spread quickly. When a problem is severe enough to need a control, always reach for the least toxic option first. When you need a pesticide, always reach for the least toxic option first. That can be removing pests by hand or using an organic pesticide like the ones profiled here. Remember, just because a pesticide is organic doesn't mean it does no harm. And always follow the label directions. Even with organic products, more is not better. Keep a close eye on your garden and try to catch problems early, before they become major. If you practice good integrated pest management, with a wide range of plants, good growing conditions, natural predators, like birds and beneficial insects and healthy soil, you should not need to reach for a spray can very often. Application: Insecticidal soap must come in direct contact with the insect. It is no longer effective once it has dried. How It Works: The fatty acids in the soap penetrate the insect’s outer covering and cause the cells to collapse. One of the safest pesticides. You can use on vegetables up to harvest. Precautions: Check label for specific plants that may be sensitive to insecticidal soap. Application: Generally available in powdered form that is sprinkled or dusted on a plant. It must be eaten by the targeted insect. How It Works: Bt is a stomach poison. It releases toxins in the stomachs of susceptible insects which cause them to stop eating and starve. Cons: Slow acting. It may take days for the insect to completely stop eating and die. Breaks down quickly. Can kill ‘good insects’ like butterfly larva Breaks down rapidly in sunlight. Can be a skin irritant. Precautions: Follow the label directions and don't over use it. Ingredients: Contains 2 ingredients, azadirachtin (AZA0 and liminoids, both frm the seed kernels of the neem tree fruit. Application: Sprayed onto plant leaves. How It Works: Upsets the insects hormonal system and prevents it from developing to its mature stage. Most effective on immature insects and species that undergo complete metamorphosis. Precautions: Keep pets from treated leaves until they dry. How It Works: Coats and suffocates insects or disrupts their feeding. Pros: Low toxicity to humans, pets or birds . No toxic residue. Precautions: There are several grades. Be sure to use the one that is right for the season in which you are spraying. Application: Generally found in powder form and dusted on leaves. Pros: Quick acting. Low toxicity to animals. Degrades within a day. Precautions: Use cautiously, only when you have a major problem with hard-to-kill insects. How It Works: Inhibits a cellular process, depriving insects of oxygen in their tissue cells. Pros: Low residual effect. Breaks down quickly in sunlight. Precautions: Apply in the evening, when bees are less active. Ingredients: Potassium bicarbonate usually combined with horticultural oil and / or a substance to improve spreading and coverage of the leaves. There are commercially available products such as GreenCure® and Kaligreen, or you can prepare your own. Note: Baking soda or sodium bicarbonate is often recommend for similar fungus problems, however research has shown potassium bicarbonate works better and is safer on plants. Application: Spray at the first sign of disease or use as a preventative before infection. How It Works: It’s still unclear, but it appears that bicarbonates can damage the cell wall and possible create a pH that is not conducive to further fungal growth. The effect is immediate. Lasts 2 - 3 weeks as a preventative. Cons: Can burn plants, especially if used in full sun. Precautions: Check label and test on a small area before spraying entire plant. 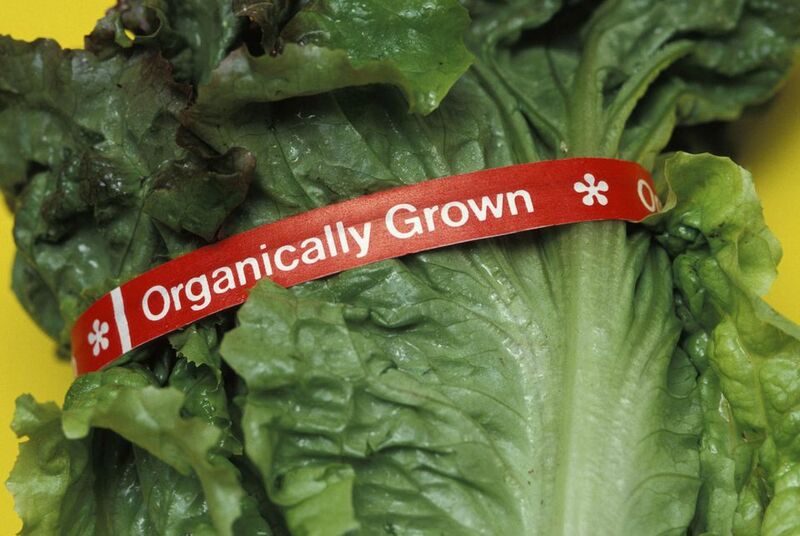 Remember, just because a pesticide is organic doesn't mean it's not toxic. Always read and follow the label instructions and cautions.